You bring the baby. We’ll deliver the gear. Mountain Baby Gear carries all the equipment your baby needs to have an ideal Aspen vacation. Leave your worries behind … along with the highchair, crib and linens, stroller, and playpen. We deliver what you need directly to your resort accommodations in Aspen and Snowmass, Colorado. Have a look at our list of equipment prices and policies. Then, call (970) 920-6565 or email us with your equipment needs, travel dates, lodging information, and a phone number. We’ll call you to confirm availability, reserve gear with a credit card number, and coordinate delivery and pickup schedules. It’s that simple. We carry quality cribs (including linens), crib bumpers, pak n play/bassinets, bed rails, high chairs, booster seats, excersaucers, bouncy seats, swings, BOB Joggers, double baby joggers, strollers, double all-terrain strollers, frame backpacks, car seats, gates, bath rings, bath tubs, potty seats, room monitors. Authorized dealer: BOB™ strollers, Peg Perego™, Sealy™, Kolcraft™ and more. 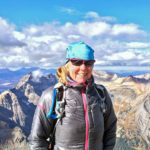 Mountain Baby Gear Rentals is locally owned and operated by Colleen Carvelli. Colleen has called the Roaring Fork Valley home for over 40 years. She started Mountain Baby Gear in 2001 and has been running the company ever since. Colleen is a mother of two who understands the importance of quality and cleanliness. When she’s not in the office she enjoys her time biking, hiking, skiing, and traveling.